Buses were the most widely used form of public transport. Buses were open-topped and had two decks. A conductor rang the bell for the driver to stop. When everyone was on board, the conductor rang the bell again to tell the driver it was safe to go. 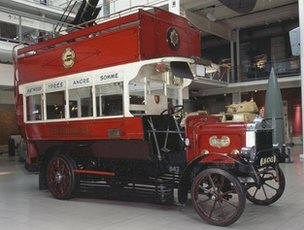 The bus which one soldier took to Ypres was the same one, with the same driver, which he used to catch to get to work every morning before the war. The conductors wore a ticket machine and a moneybag on straps round their neck. 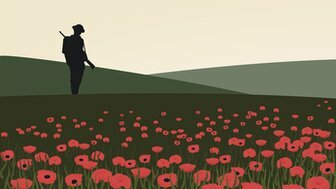 Within a few days of war being declared, the streets of Britain began to change, especially in London. The streets started to sound quieter. Almost 300 buses had stopped carrying people to work and the shops. Now, with volunteer drivers, the buses were on a different route - taking troops to France and Belgium. The buses that remained in the towns and cities were very overcrowded. Just as for other types of transport, women took up the jobs left by men. The women who worked as conductors were often called Clippies. 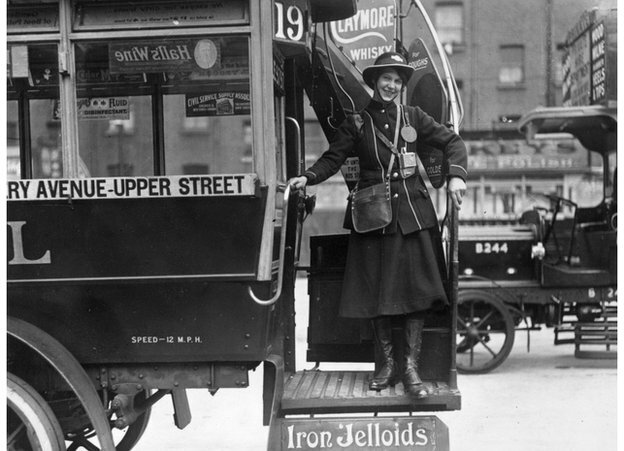 By the end of the war, almost 1,000 London buses would be involved in war work. Some were used as ambulances to carry wounded soldiers to safety. 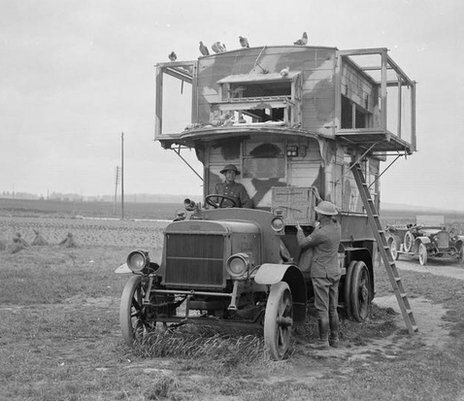 Some even had special boxes built on top to bring homing pigeons to the front line. These were birds used for carrying messages. Three years before war was declared, Leeds was the first British city to have trolleybuses. These looked like trams but did not need tracks or tramlines to run on as they had tyres. They were powered by poles on the roof making contact with overhead electric lines. During the war, the trolleybus service stopped working because the parts needed to maintain the vehicles were made in German and there was no way British companies could get hold of them.